An old, unused furnace that's simply taking up unnecessary space in your basement or garage may prove more valuable than you think. This is because most furnaces contain at least some cast iron components that, when cut from the furnace, can be sold for scrap. The sheer weight of the furnace, combined with the fact that it contains recyclable metals, makes removal and scrapping a worthwhile endeavor. Not only will you make some extra spending money, you'll free up some much needed room. Remove all ashes, old coal and/or firewood from the furnace. If the shaker and grates still function on the furnace, simply shake the ashes into the ash pan. Otherwise, remove the debris by hand. (Wear a face mask to avoid breathing in the dust and residue from the furnace) Once all of the largest pieces of debris have been removed, go over the interior of the furnace with a wet/dry vacuum to remove any dust or small particles. Disconnect the furnace from the chimney or stovepipe, if necessary. If the furnace is still wired into a thermostat, unhook the thermostat. Also, unhook and remove the draft and damper. Save everything made out of metal, as it can be scrapped along with the iron. The copper in wires can also be salvaged for scrap. Remove the ash pan door, loading door and grates from the furnace. In most cases, the doors and grates are made from cast iron, which can be sold as scrap. Most grates and doors do not require cutting into smaller pieces. Dismantle as much of the remaining furnace as possible. Dismantling the furnace into smaller pieces will make removal much easier, particularly if the furnace is very large or heavy. Use a wrench or socket set to remove any sheet metal. 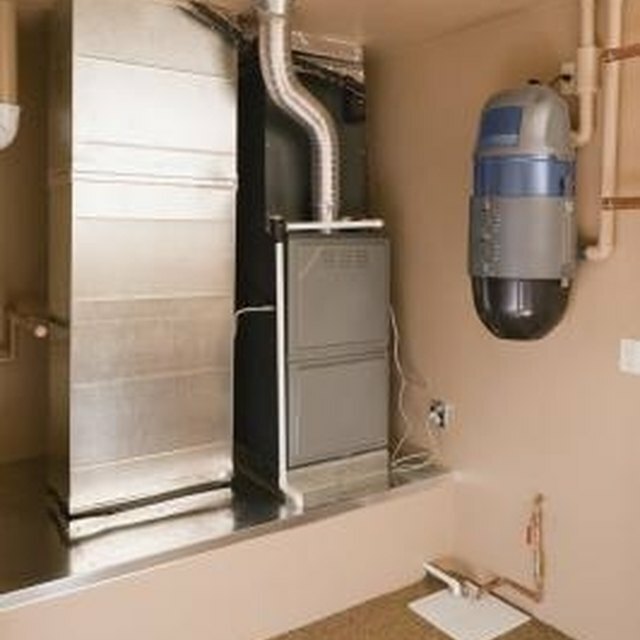 If the furnace has a blower motor or fan attached, remove it, as well. Once the furnace is reduced to a manageable size, move it outside. Use a plasma torch to cut the largest sections of iron from the furnace into pieces no larger than 24 inches by 30 inches. If you don't own a plasma torch, you can rent one. Make sure each piece weighs no more than 150 pounds. Cutting the iron into the proper size will enable you to receive the highest price from the scrap dealer. After you've finished cutting, wait for the metal to cool. Divide the iron from the rest of the metal salvaged from the furnace. Each type of metal salvaged should be placed in its own pile; categorizing and sorting the metal will ensure you receive the most money at the scrap yard. What Kind of Metal Can I Use to Make a Smoker?